About 6 miles to the east of Colchester these are two adjoining hamlets which between them have just around 50 houses. Being surrounded by farmland they both provide a rural setting whilst being within easy access of either the A133/ A120 for those needing quick access to the local road networks. 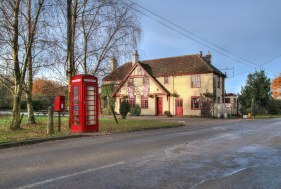 In Little Bentley there is a small triangular green in front of the The Bricklayers public house and a church.